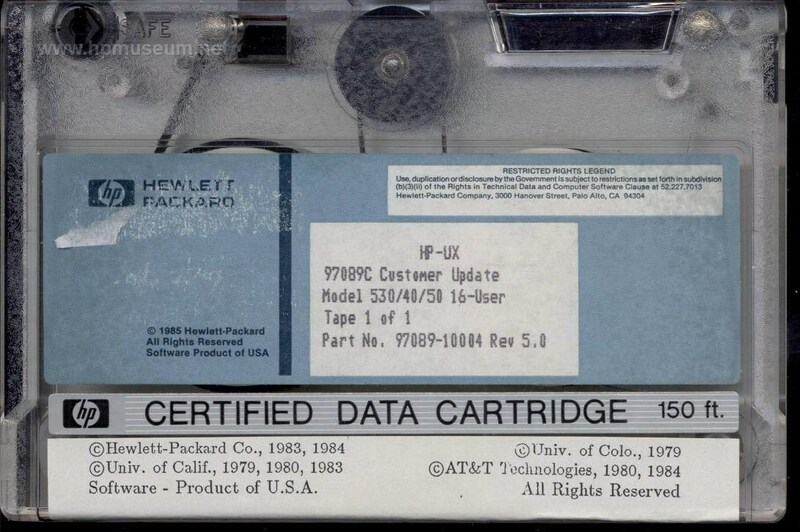 The downloadable file is an image of the system software tape for HP-UX on 500 Series computers. It was made from a 150ft tape. We obtained 47 read errors while imaging the tape, so it's probably not entirely intact, and we don't have a working 500 Series machine to check. However, the file contents of the tape are readable by issuing the BASIC CAT command from a 300 Series computer. Please contact us if you have a 500 Series computer or any 500 Series software.